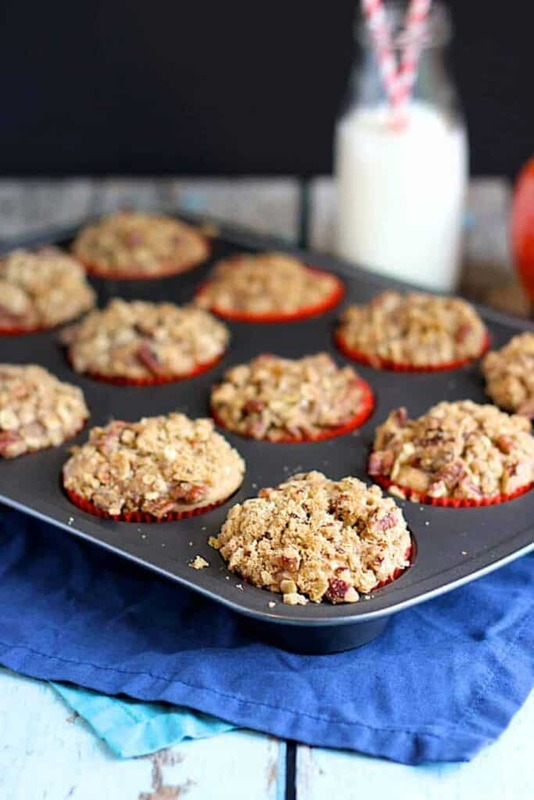 These Apple Oat Streusel Muffins are moist, tender, and full of apples and fall flavors. Plus, they’re topped with a spicy, crunchy streusel! Yes, it’s muffins again. If you’ll recall, I shared these Pumpkin Chocolate Chip Muffins with you all a couple of weeks ago. But now we’re back with another really great fall flavor combination: apples and cinnamon. 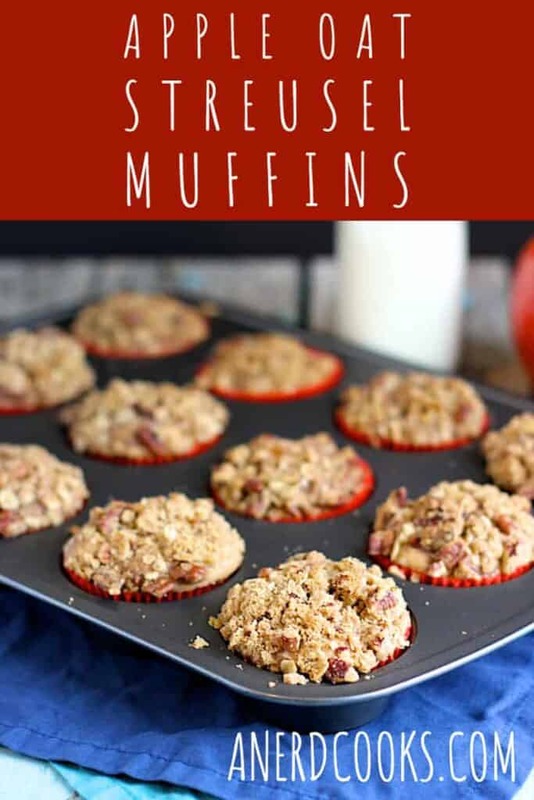 They’re really tender, and an unrealistic part of me likes to think that they’re sort of healthy because they’re full of apples, coconut oil, and oats. See other apple and cinnamon-related goodness here: Apple Crisp. This recipe comes from Celebrating Sweets. Preheat the oven to 350 degrees F. Line a muffin tin with paper liners and set aside. In a medium-sized bowl, whisk together the flour, salt, cinnamon, and baking powder. Set aside. 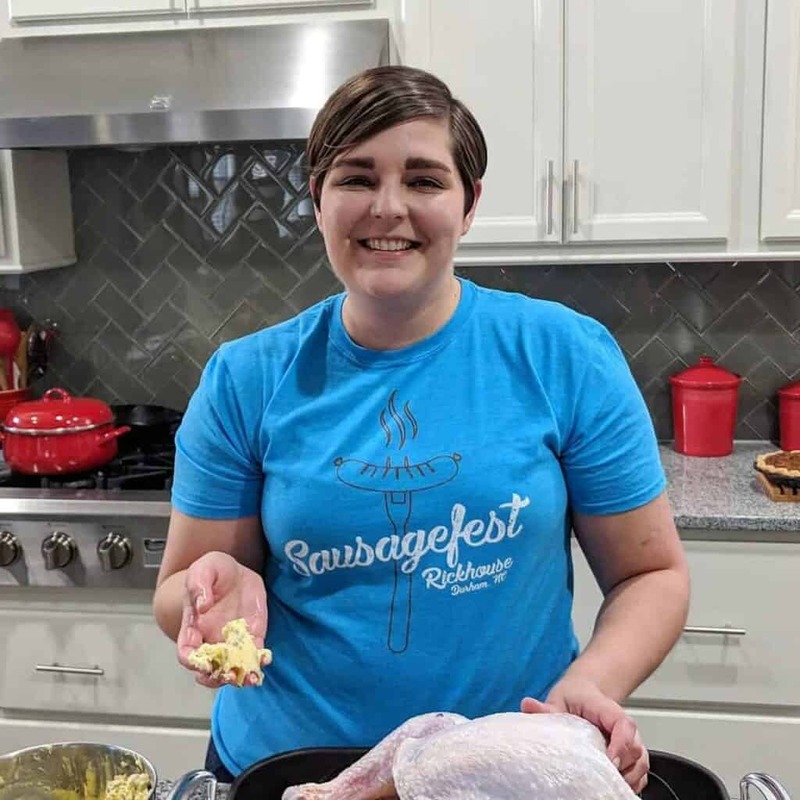 In another medium-sized bowl, whisk together the coconut oil, brown sugar, eggs, oatmeal, and applesauce. Add the dry ingredients to the wet and stir until just combined. Add the apple and stir until combined. In a small bowl, combine the flour, oats, brown sugar, walnuts, and cinnamon. Work the butter into the dry ingredients until it resembles wet sand. 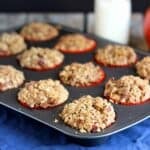 Sprinkle the streusel evenly over the 12 muffin cups. Bake for 13-15 minutes, or until a toothpick, when inserted into the center, comes out clean. Allow the muffins to cool in the tin for 5 minutes before removing them to a wire rack to finish cooling.